Verto Studio 3D is an innovative, fully-functional 3D modeling and graphics studio designed to rival desktop studio programs. It strives to push the boundaries of what is capable on an iPad and from the users that use it. The software is designed for all ranges of users, from professional 3D modelers, game developers, to beginners looking to get their feet wet in 3D content generation. Use it to build quick 3D mockups or fully functional environments for mobile applications. Verto Studio is an ideal solution for mobile 3D content generation because it bridges the gap between design and mobile testing. 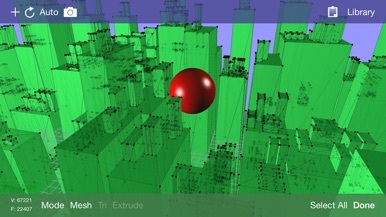 It supports importing, exporting, viewing and editing 3D models of any size. 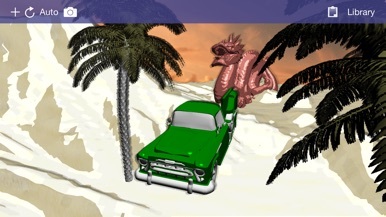 Use the built-in shaders or the GLSL shader editor to create your own shader effects with absolute precision. 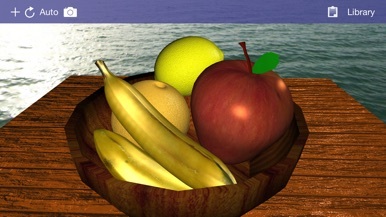 Verto Studio 2.0 has a completely overhauled graphics engine and shader system rewritten from the ground up! - Built-in shaders including reflection/refraction environment mapping, BRDF, bump-mapping and more! 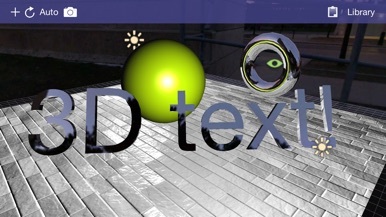 - File import/export (DAE, OBJ, STL, .X, 3DS) and more! -- 3D Text complete with font selection and built-extrusion. -- 3D shapes with built-in shape editor and SVG importer. 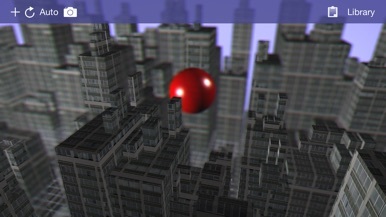 -- Cubemap renderer type to live-generate environment maps. - "Fly through" mode. Fly through the scene in full screen using FPS-game-style controls. -- Gyro motion view. In "fly through mode", tap the gyro button to use your iPad as a virtual window into the scene, changing the vantage point as you hold the iPad a different angles. - Fully supports the retina display of the new iPad for maximized screen real-estate usage.